Sadly there is an update in the Romford Recorder this week that draws attention to the work that is still needed to raise aspirations amongst disadvantaged families and ensure that there is a clear pathway for pupils to make it to Higher Education. 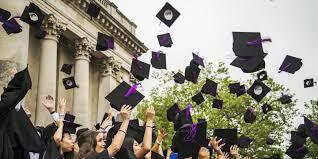 The Social Mobility Commission’s study revealed that just 16pc of youngsters from disadvantaged backgrounds in the borough go on to university or other higher education. This is compared with 53pc in Westminster, the best performing area in England. The government watchdog’s latest report into inequality in Britain highlights the huge variation in life chances for youngsters from disadvantaged backgrounds depending on where they grow up. The commission assessed the development of children across the country from nursery right up to university, ranking each of England’s 324 local authorities for social mobility.